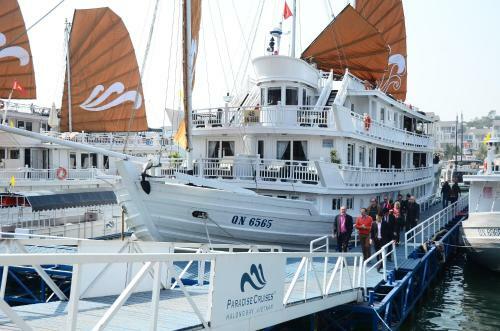 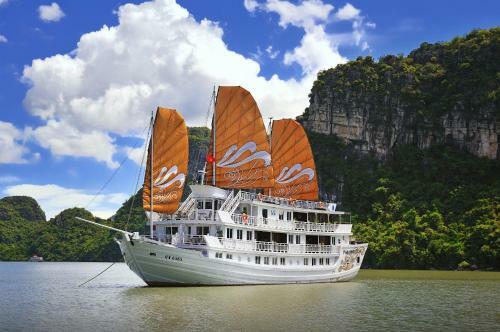 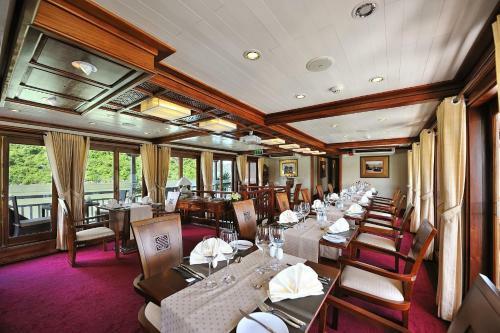 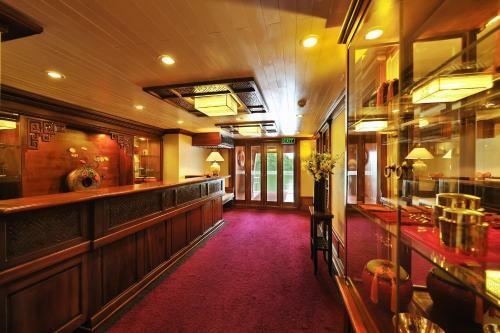 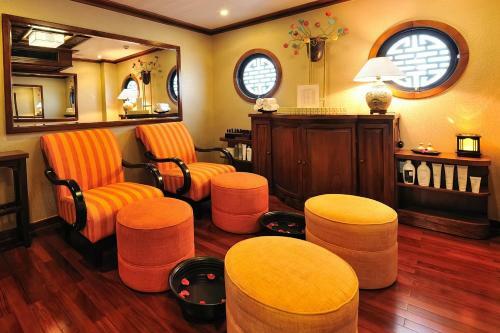 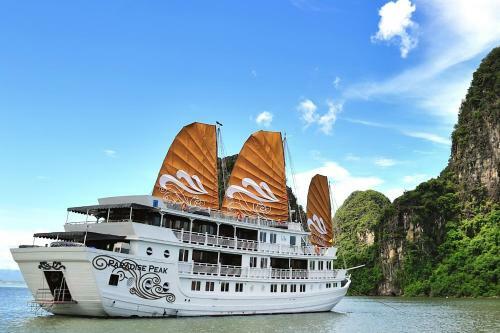 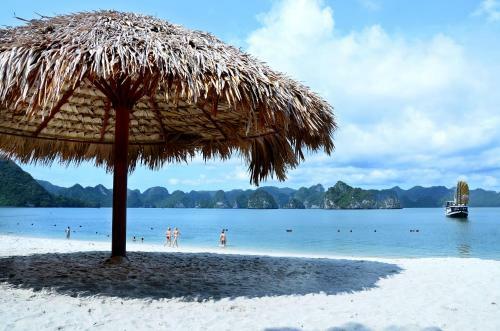 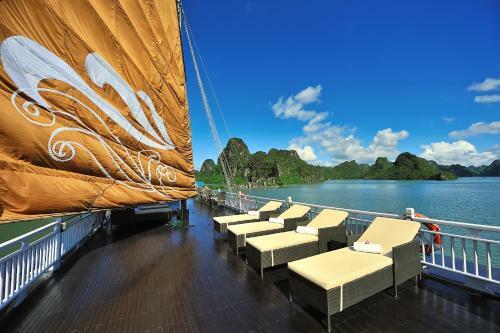 Paradise Peak Cruise is a traditional Vietnamese-style junk that houses 8 spacious and well-furnished suites. 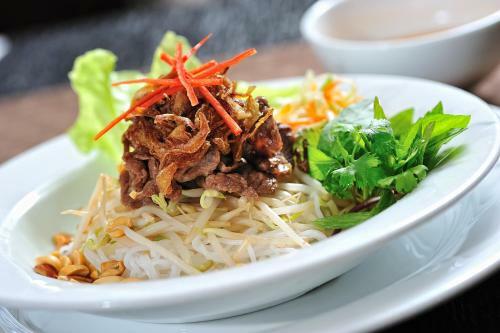 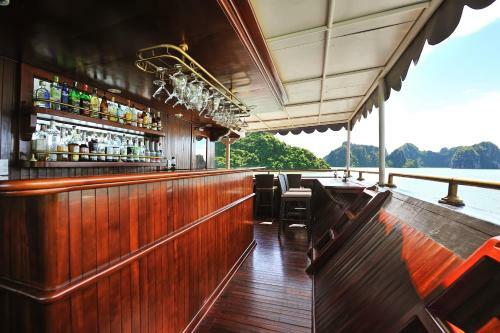 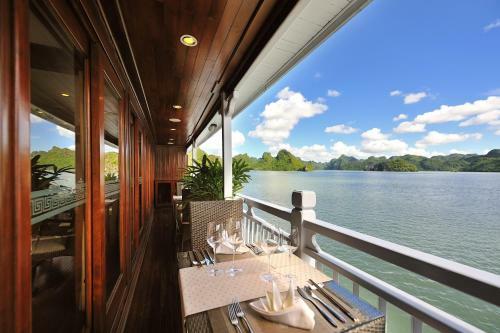 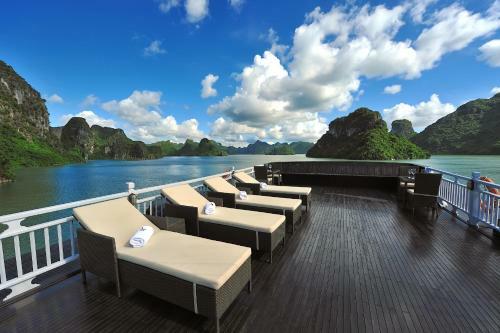 It features a dining room with an outdoor lounge and bar area and a sundeck with views of Halong Bay. 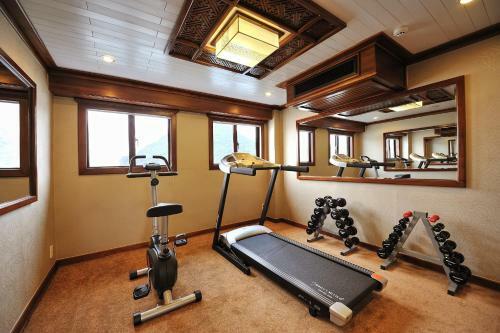 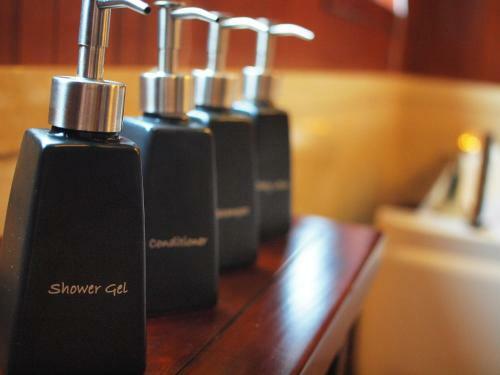 Guests have access to 3 massage rooms, a sauna, library, spa and fitness room. 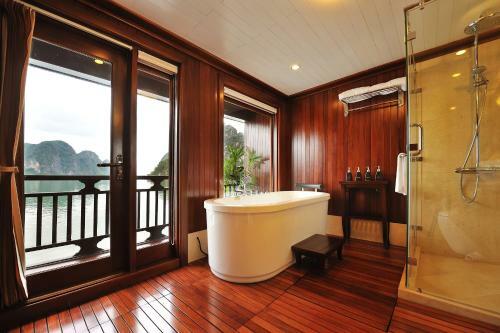 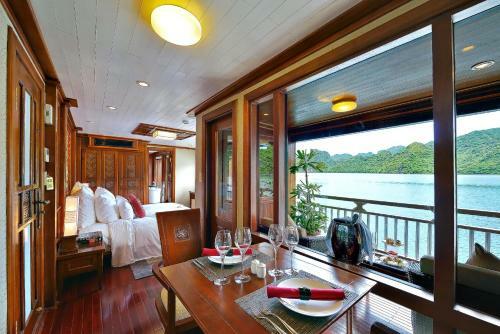 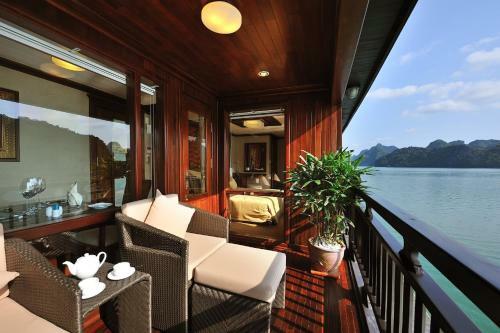 Sweeping views of Halong Bay can also be enjoyed from windows that stretch across the length of the suite. 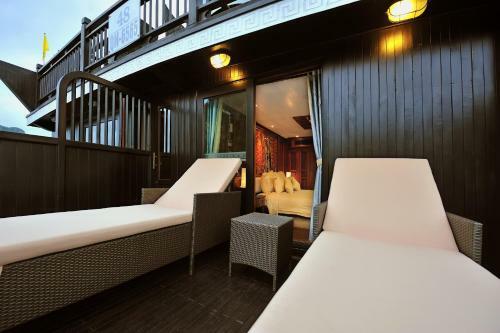 Each features modern dark wood interiors, a flat-screen TV, DVD player and private balcony. 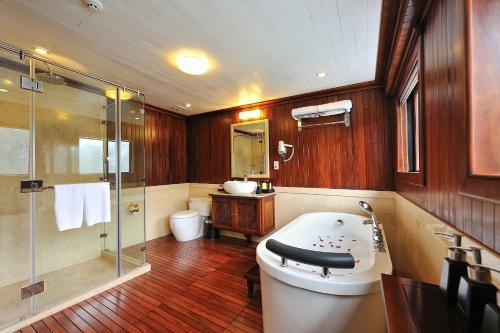 En suite bathroom include a spa bathtub and shower. 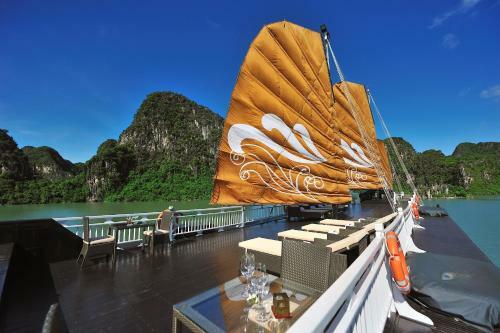 Transfers to Tuan Chau Jetty from the Old Quarter in Hanoi or the Opera House are provided. 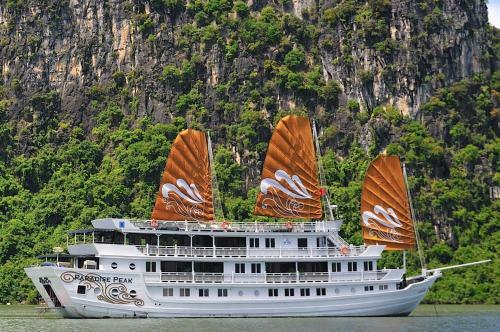 Free parking is available at the cruise’s office in Halong. 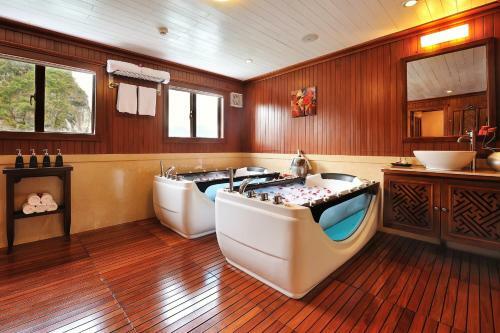 Activities including kayaking and Tai-chi lessons. 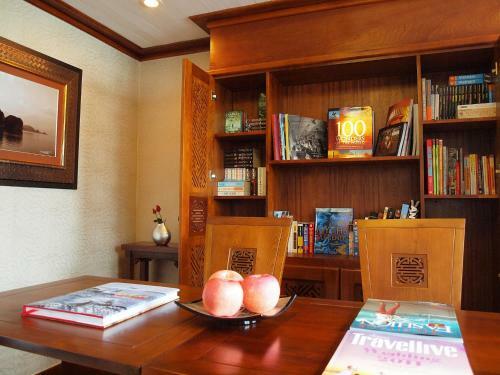 There are also over 200 DVDs available for rental. 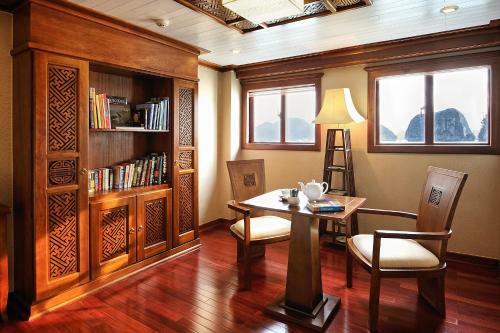 A games room and ample lounge area are available on board. 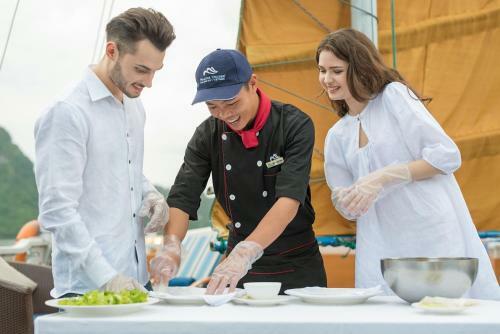 Personal butlers also serve as hosts and tour guides during the cruise. 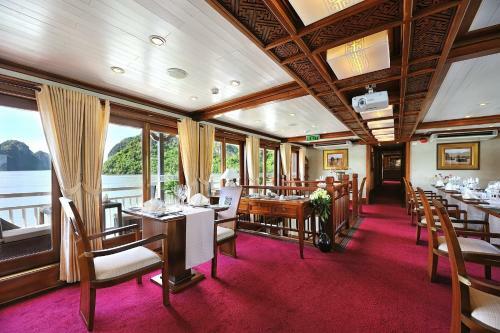 Asian and international a la carte meals are served at the elegant dining area. 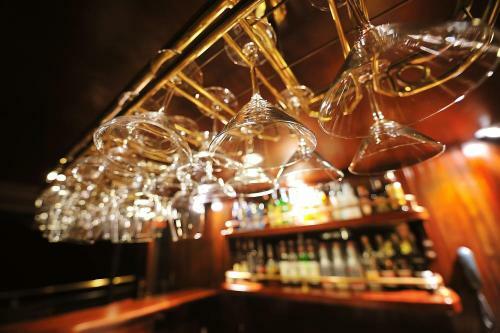 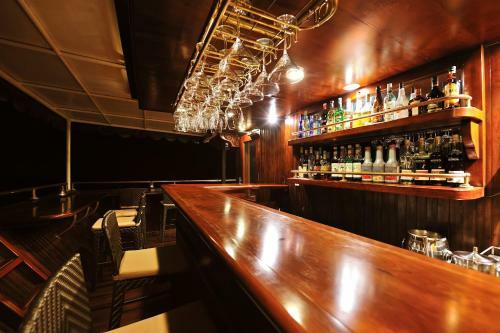 After meals, the bar is ideal for a relaxing glass of wine. 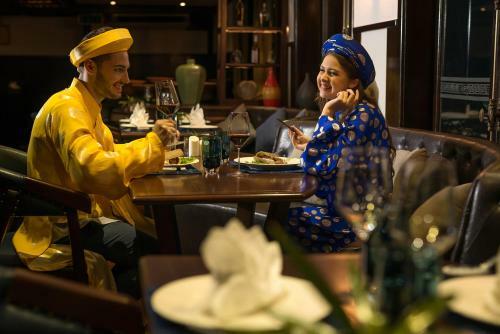 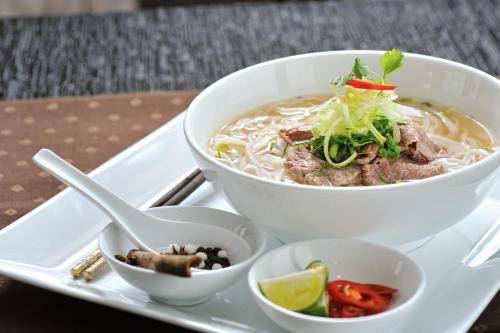 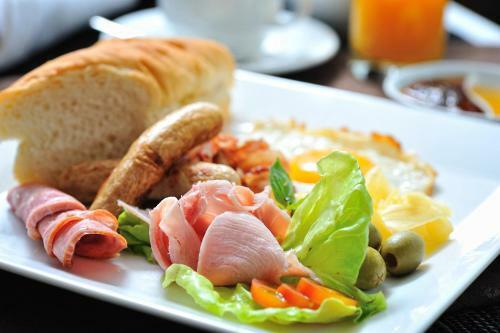 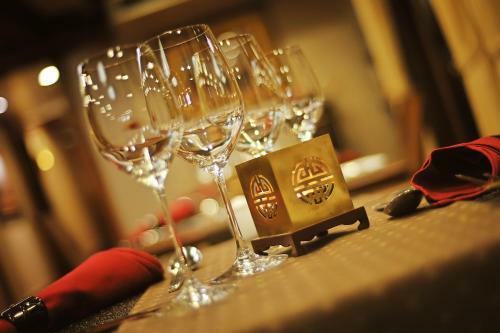 All meals are included, and can be ordered from an à la carte menu, with free flow of a variety of beverages.